*Less worthy models: Chrysler 200, Chevrolet Cruze, Hyundai Sonata-redesigned, MB C-Class, Mini Cooper Hardtop, Subaru Legacy and Outback. 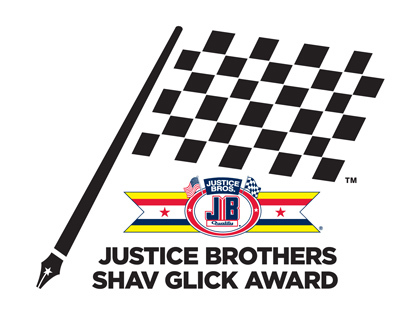 Tommy Kendall, Motorsports race-car driver recently received the Shav Glick award for his significant contributions to motorsports. 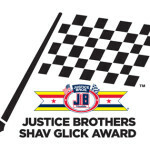 Awarded annually in California by Justice Brothers, the award is named for LA Times Sportswriter Shav Glick and has been presented since 2000. Believe or not, there is a list compiled for those cars consumers don’t want to buy. Compiled by TrueCar, the statistics report the average time a new car spends on a dealer’s lot after they take delivery. *Long-time automotive journalist for Autoweek Patrick C. Paternie died March 10 at the age of 65. Though tragic, and too soon, Paternie suffered a heart attack while finishing a race at Willow Springs in his Porsche 911. As he pulled into the pit area, he succombed and medical crew at the track tried to revive him. He was pronounced dead at a local hospital. Writing for Autoweek since 2000, Paternie covered a wide variety of subjects, from concours to Corvettes, driving Mustangs and motorcycles. His whole career was spent writing about and enjoying cars. RIP Patrick. *How Do Men and Women Compare when Car Shopping? 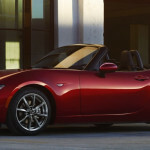 *According to the American Automobile Association, in 2010 it cost more than $8,500 to drive a midsize sedan 15,000 miles, factoring in gasoline, maintenance, insurance and depreciation.